Autumn Marathon season has started and with cross country events also just around the corner, many Harriers were out on the tarmac and trails this week. This was probably one of the biggest weeks for mileage and time on feet for club members both racing and training. 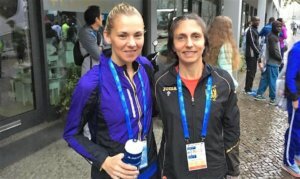 Gladys Ganiel O’Neil was chasing Commonwealth Games Qualification on Sunday morning on the streets of Berlin. In less than ideal conditions Gladys finished 15th in 2:37:55, for a new PB by nearly a minute. 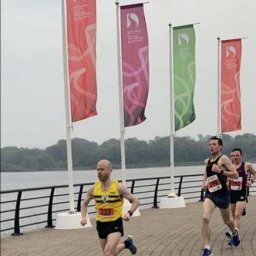 Several other North Belfast Harriers also took on the notoriously fast course and humid conditions. For Greg McClure, it was his 12th Berlin Marathon. 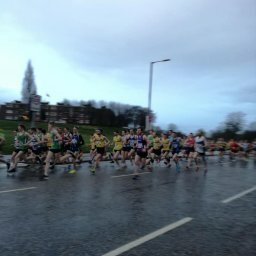 Saturday morning saw the SSE Airtricity Half Marathon take place just north of Dublin. 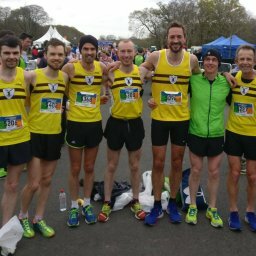 Following on from the Belfast Half last week, several Harriers took on the opportunity to test their summer training over the 13.1 mile distance. The annual 26extreme event up on the North Coast has proven very popular over recent years and attracts athletes of all abilities looking to take on the challenge of the coastal paths over various distances. A notable success for the club was Marstje Hell finishing first in the Half Marathon and 6th overall. The steep trails over Cavehill are well known by many in the club. They somehow get steeper the faster you try to run up over them. This was soon realised by those taking on the 5 Mile trail race on Sunday morning.